As Dylan sang, "times are a-changing," and that's never been more true than about what's being sold online these days. More and more shoppers are turning to online searches to find and buy, larger and larger purchases. 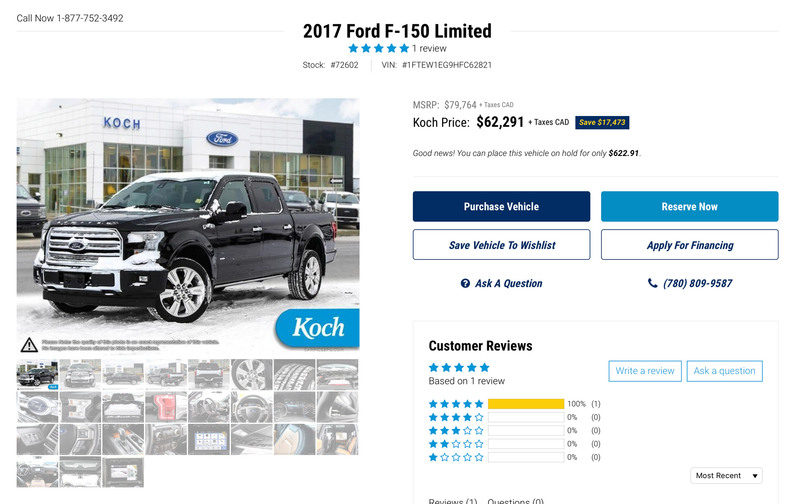 Koch Auto Group contacted our company to discover ways they could utilize their history and industry knowledge to push the envelope online for their dealership group. The cornerstone for success was automated inventory population based on live data from their internal systems across all four dealerships. Luckily, Shopify Plus gave us all the resources we need to accomplish this. Our team designed and developed a proprietary application for syncing inventory information that uniquely powers four separate Shopify Plus storefronts. Customers can now browse inventory online just as if they are walking the dealership lot. Being able to browse live inventory was only the first piece to the puzzle. The ability to take a percentage deposit or even payment in full was the ultimate goal for Koch. We developed the ability for customers to put 5% down to place a vehicle on hold until they can make it into the dealership in person. Deposits both ensure a customer won't miss out on the opportunity to purchase, but also gives other online customers the ability to still see the vehicle and to contact Koch about similar options. Koch is the first dealership group in North America to offer this — a statistic we're proud to have played a role in. 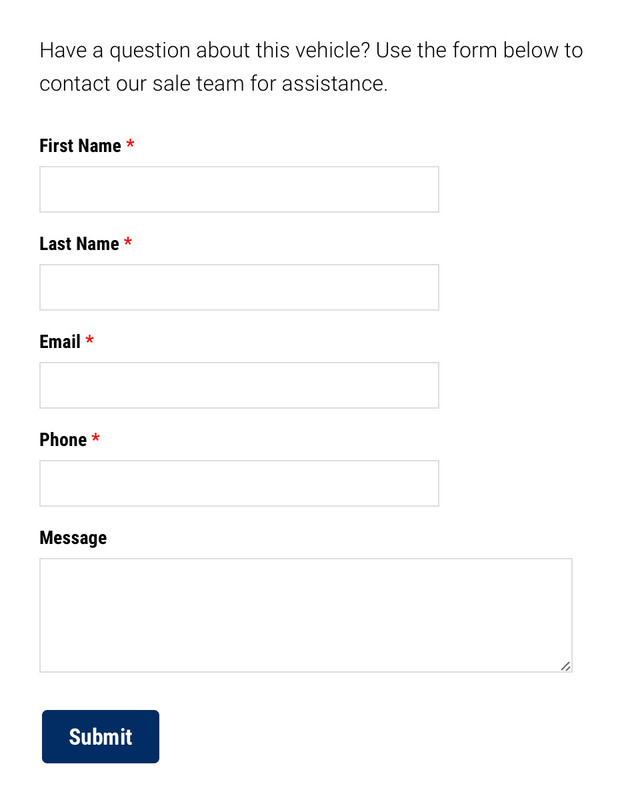 "Rebase makes creating forms, lists, and places easy. We have used this application suite from Rehash to expand what Shopify Plus can do to help with our leads and sales both." Selling cars, whether online or in peson, is all about quick relationship building. Using Rebase Forms, Koch is able to create unlimited variations of forms to give customers unique ways to get in touch with their team. The ability to process each form uniquely, and options to send vehicle information along with form submissions or even multiple copies to different team members was easy to accomplish. "Our project was executed with a high degree of professionalism and technical expertise. Rehash did a great job presenting multiple solutions to our team, allowing us to determine what was the most effective minimal viable product. During the initial start up, development went smoothly. Our debugging process was minimal and a direct line of communication to their developers kept us on track. Rehash is more than technology partner, I consider them a part of the Koch team. I would strongly recommend Rehash to anyone looking for a reliable development firm."